We had an amazing morning safari in the Yala national park, Sri Lanka, where we spent most of our time with the Yala Leopardess and her cubs. The same evening we started our safari with a hope of spotting good wildlife action, apart from of course seeing a Leopard. And we were not disappointed. 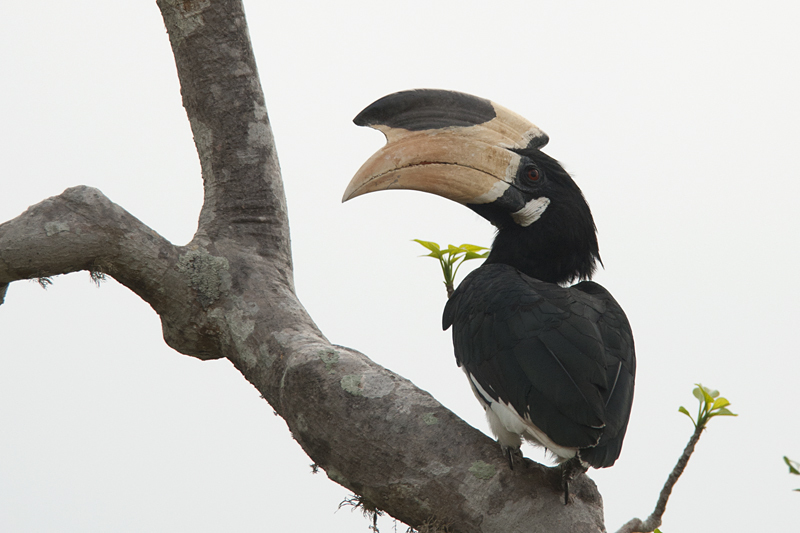 The safari started with the spotting of this Malabar Pied Hornbill, which was perched beautifully on a clear branch, presenting a lovely photo opportunity. However, the only drawback was the overcast light conditions. We still managed a few portraits of this huge bird before it flew away. We then continued with our safari when we saw the exciting experience of the Indian Roller with the grasshopper kill. 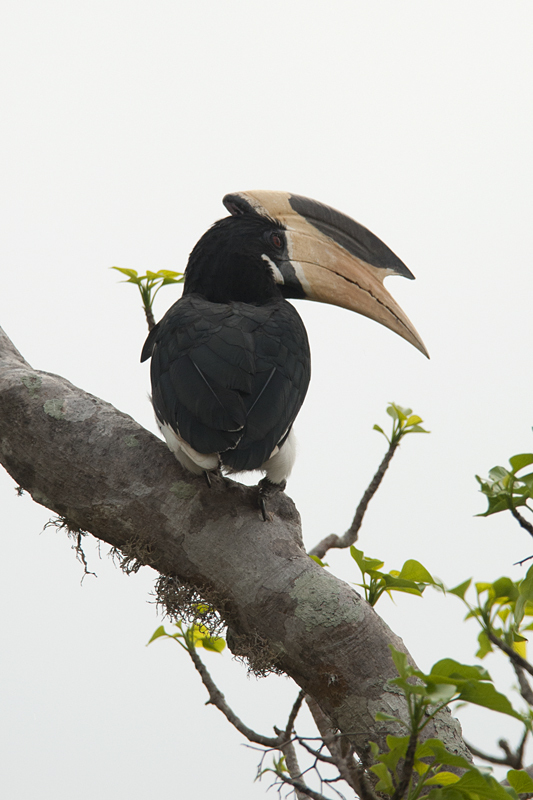 We later came back to the location where we had spotted the Malabar Pied Hornbill and along the way we spotted the Black-naped Hare. 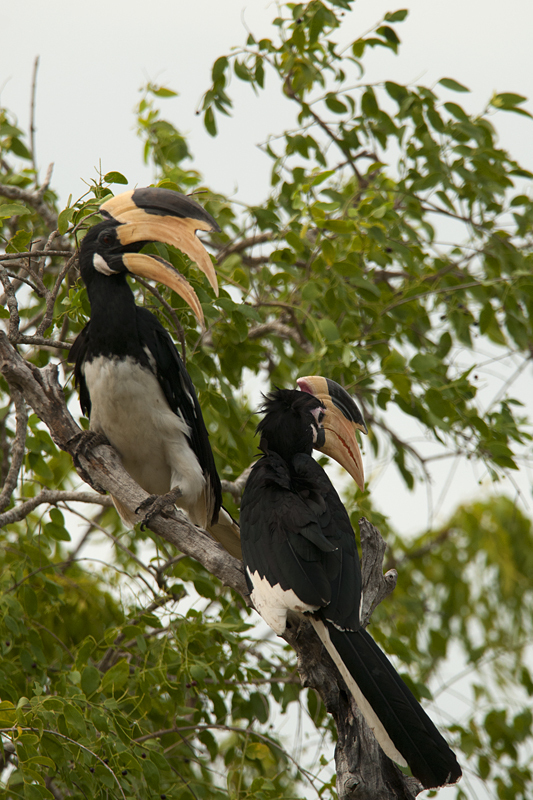 Our return to the location where we had spotted the Malabar Pied Hornbill the first time was rewarded with a brief sighting of a courting pair of the Hornbills. We managed a few images of the pair together before they flew away to a tree much further from the safari tracks. In summary, we had a fabulous evening safari with these sightings even though we did not see a single Leopard that evening. 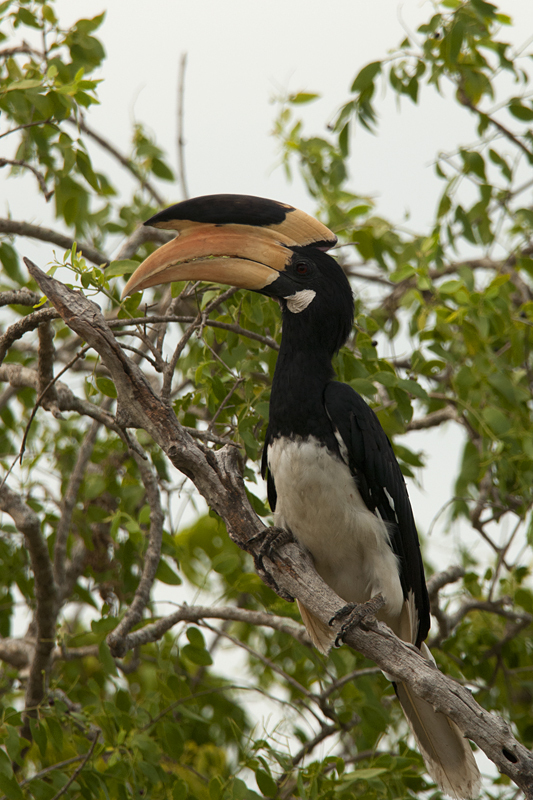 Incidentally this is our last post from our first visit to the Yala national park. We will now start a new series based on our experiences from our recent trip to Masai Mara. This is a fascinating bird. I only know the species which are more colorful. 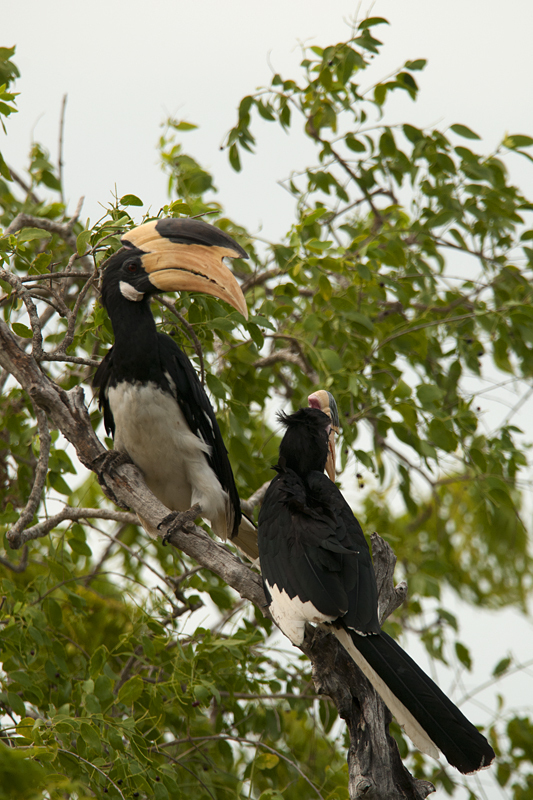 Great images of Malabar Pied Hornbills. Love them all but the 3rd one really stands out! Amazing creatures and beautiful shots! fabulous pics… these are one of the most beautiful birds around the world.. and I’m proud that these wonderful creatures are native to coorg and western ghats.. I have never seen such close up shots. Very National Geographic. Have you done anything for them?